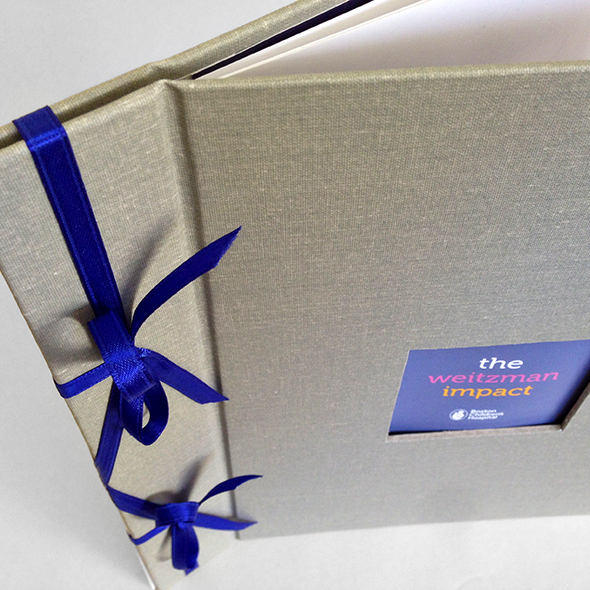 This stab binding was done by our designer Christyann, who is also a craft and custom greeting card expert. We do a lot of book covers using dull lamination because it has a really nice feel, and no glare. 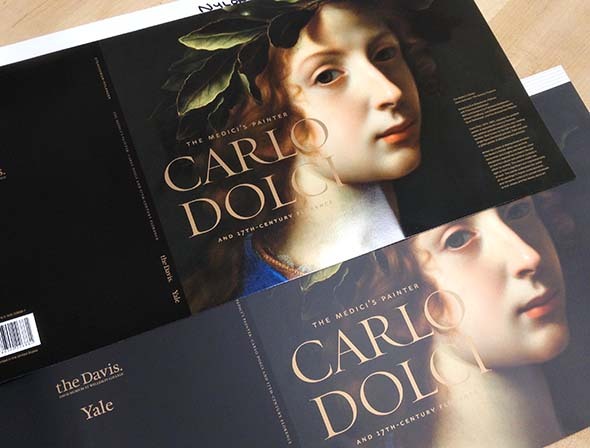 However, gloss lamination really enhances the colors and has a beautiful rich look – especially over darker colors. This photo shows the same press sheet with nylon gloss lamination (top) and matte scuff-free (bottom). This is a sample test of edge staining done for us by New Hampshire Bindery. The book block is sprayed with dye; once dry it is cased into the covers. 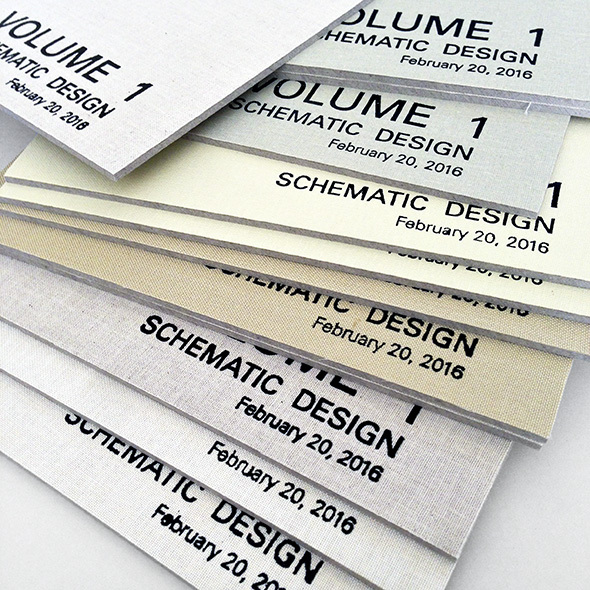 AcmeBinding recently provided these tests of different foils on a variety of cloths. There is a pretty big variation in quality throughout the different combinations. This photo shows the inside of a book case in production at AcmeBinding. 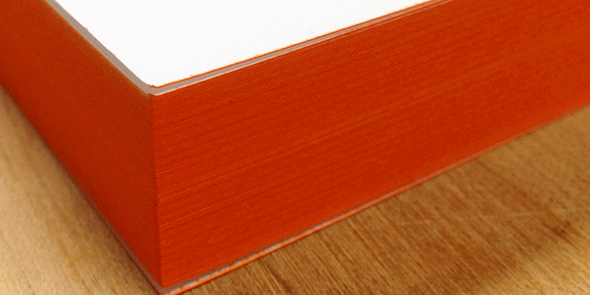 The darker board is the spine; immediately outside of that are the hinges and then the boards for the front and back cover. Eventually, the endpapers will cover up the boards. 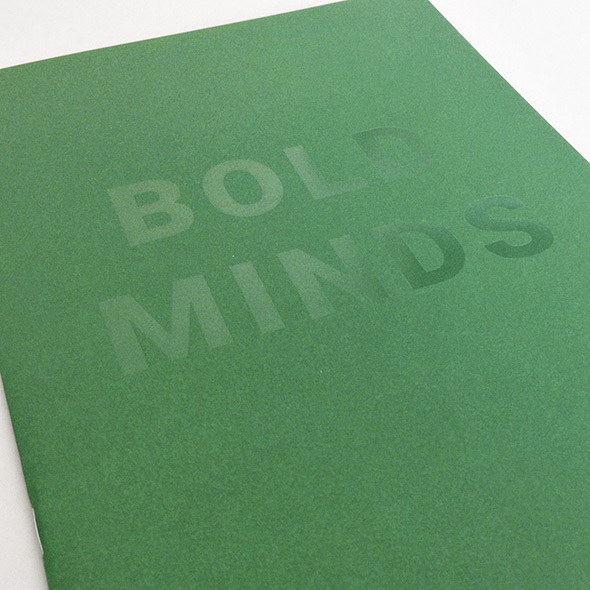 Clear foil over uncoated paper has a nice look. 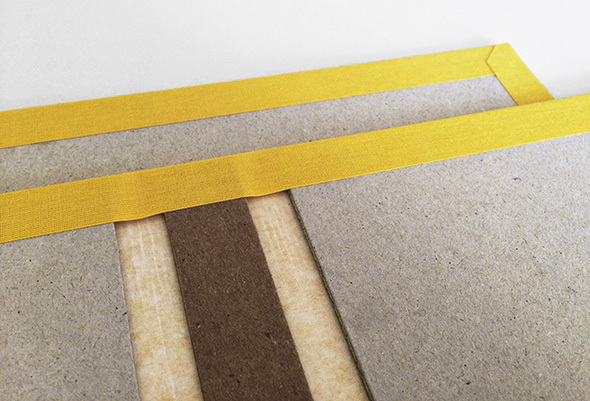 A spot varnish or UV would soak into the paper so the foil is a better solution. Have a question you'd like us to discuss on Print Talk?